Kingdom of Dreams has been added to your itinerary. Start off your visit on the 25th (Sat): catch a live performance at Kingdom of Dreams. Ask Inspirock to suggest an itinerary and make planning a trip to New Delhi fast, fun, and easy. Raipur to New Delhi is an approximately 4.5-hour flight. You can also drive. In May in New Delhi, expect temperatures between 47°C during the day and 30°C at night. Finish your sightseeing early on the 26th (Sun) to allow enough time to travel to Nainital. Kids will appreciate attractions like Nainital Lake and Naina Peak. 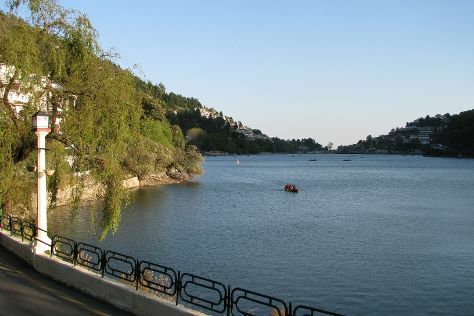 Change things up with these side-trips from Nainital: Naukuchiatal (Naukuchiatal Lake & Hanuman Temple) and Bhimtal (Bhimtal Lake & Bhimtal Island Aquarium). There's lots more to do: take in the spiritual surroundings of Goddess Naina Devi, admire the striking features of Governor's House Raj Bhawan, get great views at Snow View Point, and take in nature's colorful creations at Eco Cave Gardens. To see more things to do, maps, reviews, and other tourist information, read Nainital vacation app . Traveling by combination of flight and taxi from New Delhi to Nainital takes 4 hours. Alternatively, you can drive; or do a combination of train and taxi. Finish your sightseeing early on the 28th (Tue) to allow enough time to drive to Ranikhet. Ranikhet is a hill station and cantonment town in Almora district in the Indian state of Uttarakhand. On the 29th (Wed), take some stellar pictures from Chaubatia, make a trip to Jhula Devi Temple, take an in-depth tour of Kumaon Regimental Centre Museum, then don't miss a visit to Haidakhan Babaji Temple, and finally tee off at Golf Ground Ranikhet. To see reviews, where to stay, more things to do, and more tourist information, read our Ranikhet online trip planner . You can drive from Nainital to Ranikhet in 2 hours. 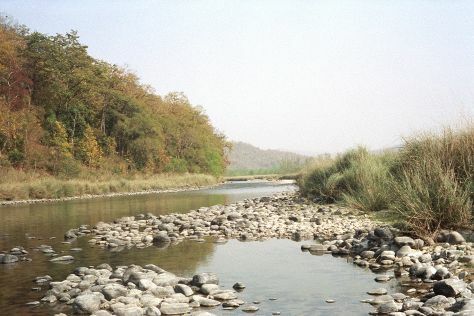 Finish your sightseeing early on the 29th (Wed) so you can travel to Jim Corbett National Park. On the 30th (Thu), contemplate in the serene atmosphere at Durga Mandir Temple, then don't miss a visit to Garjiya Devi Temple, and then explore the activities along Kosi River. Here are some ideas for day two: admire the engineering at Ramganga Dam and then take an exotic tour of a safari tour. To find photos, ratings, maps, and more tourist information, read our Jim Corbett National Park trip planner. The Route module can help you plan travel from Ranikhet to Jim Corbett National Park. Wrap up your sightseeing on the 31st (Fri) to allow time to travel back home.